Medieval scholars will probably find substantial problems with the film’s depiction of the Middle Ages, but to a non-historian it certainly feels closer than many other period movies: buildings are mostly squalid and insubstantial, the weapons and armor of the soldiers are crude and ill-assorted – Ulric (Sean Bean), the bishop’s envoy, has the best of everything, while his followers are progressively less well-equipped as they descend the social scale – and it gives a good sense of the unwelcoming, sparsely-populated landscapes of medieval Britain. The casting works well too: the soldiers are, for the most part, neither Hollywood pretty-boys nor stock grotesques, but have the look of real people, ‘warts and all’. The impression of a brutal, bleak time when life was not merely cheap but nearly worthless is reinforced by the look of the film. It’s coldly lit, and everything is misty and uncertain. This distinctive atmosphere creates a feeling of constantly impending disaster without the need for the cheap frights and minor chords of a horror movie. The characterization is often surprisingly complex: Ulric may be a fanatic, but he’s also a pragmatist who is no crueler than he needs to be. Even his soldiers are not one-dimensional brutes, but have their own personalities, with subtly-sketched human traits. The film encourages you to think about the motivation of even the most minor characters. Eddie Redmayne as Osmund does a good job of presenting a complex and conflicted character for much of the film. The weak point where the characters are concerned are the women. Averill (Kimberley Nixon) and Langiva (Carice Van Houten) sometimes feel more like plot devices than people. This is not the fault of the actresses, who both deliver good performances. It’s just that their characters are more constrained by the requirements of the plot. As with any film in which religion plays a major part, there’s been some debate as to whether the film is pro- or anti-Christian. To my mind, it’s neither. All the characters, whichever faction they represent, are badly compromised. The only value system that it really seems to promote is that of simple humanity. It’s no accident that the director gives the final voice- over to Wolfstan (John Lynch), who emerges ultimately as the film’s most sympathetic character, a somewhat tarnished and world-weary ideal of what it means to be a ‘good man’. By and large, the film works well in terms of plot and pacing. It doesn’t drag, and there are few obvious plot holes. Where it falls down badly, however, is with the ending segment, which feels like a hurriedly-sketched afterthought. The fact that the director felt it necessary to deliver key material in the form of a voice-over should have warned him that he needed to rethink his approach. The film would probably have been not only complete but also stronger if that whole section had simply been cut. It isn’t a standout film, but it’s certainly an interesting one. It’s well made and acted and it leaves you with plenty to think about. 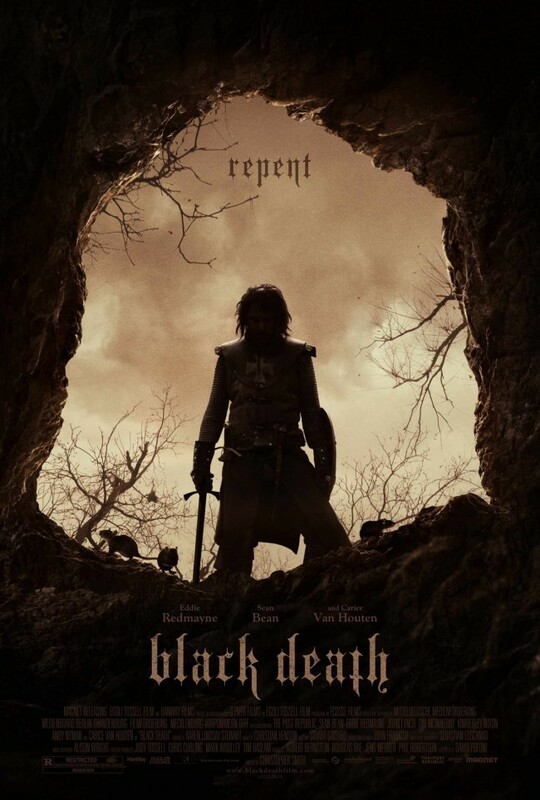 Any film-maker who wants to truly convey the feel of the Middle Ages – brutal and squalid, and at once alien and familiar – should watch “Black Death” and take notes.